Rev. Dr. S. Parkes Cadman is high on the list of notables born in the town of Wellington, Shropshire in the West Midlands. After having worked ten years as a coal miner and become a Methodist minister, he immigrated to the United States in 1890 at the age of 26. A clergyman with great oratorical skills, Cadman became an early radio preacher of God’s Word, using the National Broadcasting Company to reach 30 million listeners. He wrote a daily newspaper column for the New York Herald Tribune. Syracuse University made Cadman a doctor of Laws; Yale, a doctor of Divinity. He published ten books on aspects of Christian life. An opponent of anti-Semitism, Cadman promoted tolerance and ecumenism. He was elected president of the Federal Council of Churches of Christ in America. 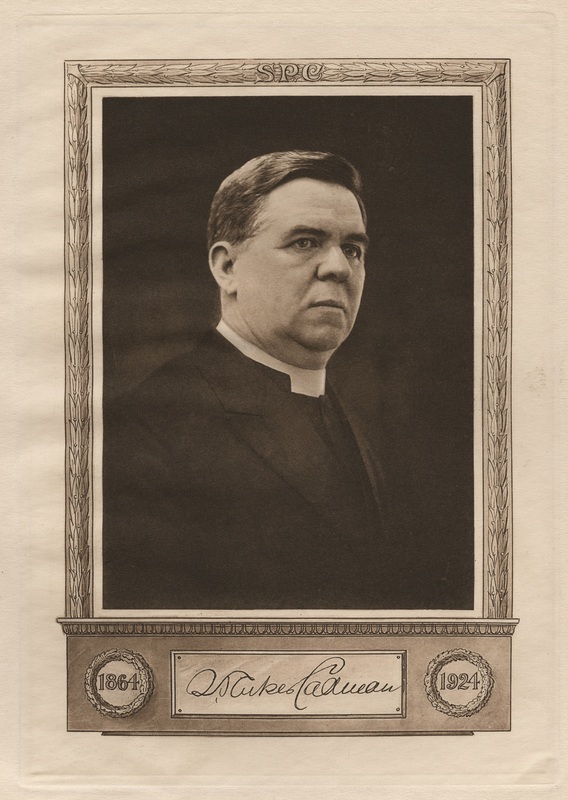 Although a Methodist, he was elected minister of the Central Congregational Church in Brooklyn (he referred to it simply as “Central”), New York, a post he held for 35 years. 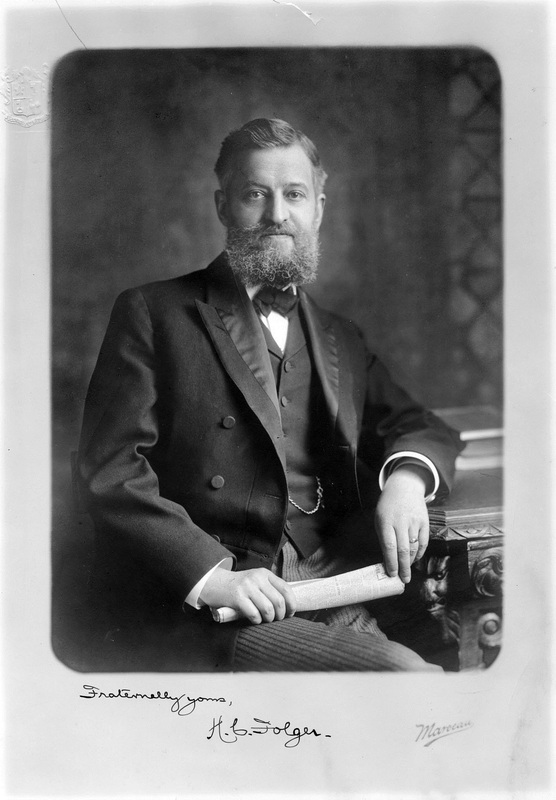 Among his 3,000 parishioners was Henry Clay Folger, the Standard Oil Company senior executive and Shakespeare collector. A trustee of Central, Folger constantly showered gifts on his favorite pastor: choice editions of Shakespeare, tickets to performance of the Bard’s plays, old Bibles, a 1616 book used by Luther to vindicate his attitude toward reform, box seats for eight at concerts in the Apollo Club of Brooklyn, assistance in acquiring shares of Standard Oil stock. Folger took the initiative to hire a court reporter, Howard J. Kelley, to put in shorthand Cadman’s sermons. Then he had them bound and donated to Central. Kelley charged $12 for a sermon, $5 for a children’s sermon, and $3.90 for a prayer, with the bill going to the generous parishioner. Folger bought a dozen of each of Cadman’s publications, and sent them to close friends and colleagues, including Folger’s boss, John D. Rockefeller Sr.